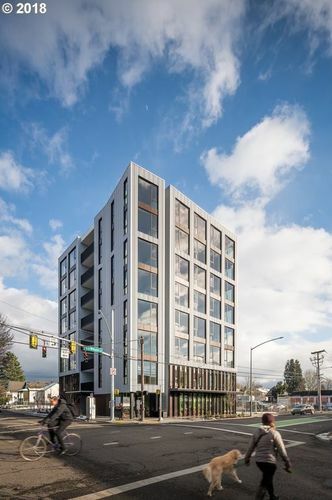 Carbon12 is the tallest cross-laminated timber building in the US. A boutique building of 14 units, featuring uncompromising modern design and materials. New York style elevator entrance right into your condo, mechanized underground parking system, exposed wood beams, gourmet kitchen and generous balcony space. Vibrant, urban corner. Pics of unit 6W and some of model 4E. Seller will divide space into 2 bedroom, if requested by buyer.